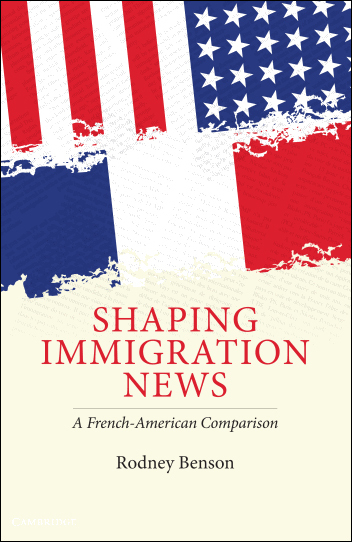 Shaping Immigration News: A French-American Comparison (Cambridge University Press, 2013) offers a comprehensive portrait of French and American journalists in action as they grapple with how to report and comment on one of the most important issues of our era. 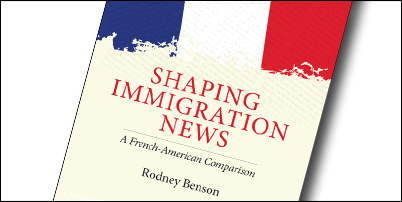 Drawing on interviews with leading journalists and analyses of an extensive sample of newspaper and television coverage since the early 1970s, Rodney Benson shows how the immigration debate has become increasingly focused on the dramatic, emotion-laden frames of humanitarianism and public order. Yet even in an era of global hypercommercialism, Benson also finds enduring French-American differences related to the distinctive societal positions, professional logics, and internal structures of their journalistic fields. In both countries, less commercialized media tend to offer the most in-depth, multi-perspective, and critical news. Benson challenges classic liberalism’s assumptions about state intervention’s chilling effects on the press, suggests costs as well as benefits to the current vogue in personalized narrative news, and calls attention to journalistic practices that can help empower civil society. This book offers new theories and methods for sociologists and media scholars and fresh insights for journalists, policy makers, and concerned citizens. The online tables for Shaping Immigration News can be downloaded here.